This episode is probably one of Chris' favorite topics: Minimalism! AJ talks about how his recent tech purge has made him appreciate "space" and how "stuff's" value isn't as great as the value of having "space." 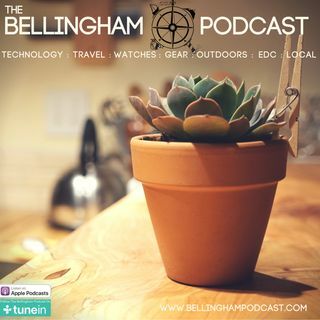 Listen to this a more practical side to minimalism, on this episode of the Bellingham Podcast. If you're in the Bellingham area, be sure to listen to our show on KMRE 102.3 FM (http://www.kmre.org/bellingham-podcast-media-tech/) Thursdays @ 9:00 am and Saturdays @ 1:30 pm. Got a question about technology or anything else about life in Bellingham? Call 201-731-8324 (tel:2017318324) (TECH) and leave us a voicemail, and ask us nicely! We may include it in one of our future shows.